The news poured down like a hard Venezuelan rain—Hugo Chávez had passed. After a two-year-long battle with cancer, we should have been prepared. But we weren’t. Like a surreal dream we read the reports from afar. We fielded media calls, listened to Ali Primera, and dialed distant friends, searching for familiar voices; grasping for something elusive that was slipping through our fingers. Comments, cries, gritos rolled in through social media, as we were glued—transfixed—to Facebook and Twitter. For Chávez supporters, unbelief and grief. “In the center of Caracas, all is peace and quiet, but it breaths pain,” wrote one friend shortly after the news was announced. “Chávez lives on in each of us,” wrote a solidarity activist from abroad. Across the ethers friends posted their pictures of the Venezuelan president, or tweeted #Chavez with comments and links to memorable moments, like Chávez’s 2006 UN General Assembly speech when he called president George W. Bush the Devil. Meanwhile, the opposition celebrated and mainstream editorials continued their media spin, decrying Chávez as a despot who led the country to ruin, amid marginal gains for the poor. Those gains, however, were substantial. Chávez’s revolution offered universal access to free health care. It built schools, abolished illiteracy, and reduced poverty by half and extreme poverty by more than 70%. NACLA Editorial Committee member Gregory Wilpert was interviewed yesterday by The Real News.Democracy Now! dedicated its entire show today to Chávez, Venezuela, and the Bolivarian Process (with guests Miguel Tinker Salas, Eva Golinger, Gregory Wilpert, Greg Grandin, and Michael Shifter). NACLA executive editor Greg Grandin has already written an insightful piece, “On the Legacy of Hugo Chávez,” for The Nation. For members of Venezuela’s grassroots movements, Chávez meant the hope of a better life, and the means to organize to accomplish it. Her sentiment was reflected by most of the dozens of people that we interviewed for our 2010 book Venezuela Speaks! : Voices From the Grassroots. 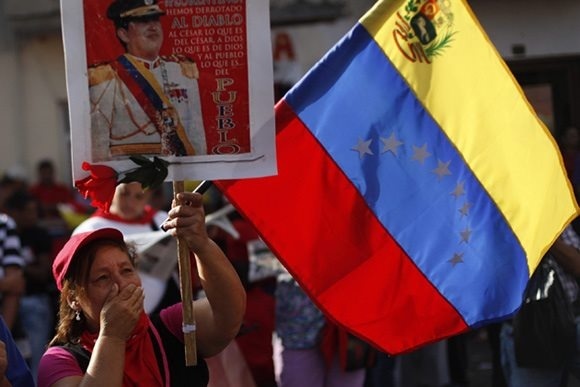 Many of their movements were rooted in organizing that went back decades, but politically supported by the new 1999 Venezuelan Constitution that was passed through a Constituent Assembly during Chávez’s first year in office. Chávez would attempt to empower communities and promote participatory democracy throughout his presidency. He called on workers to occupy their factories and supported the formation oftens of thousands of cooperatives. Chávez’s government called for the community to organize locally outside of bureaucratic channels and gave the people the tools to do it. Over 30,000 communal councils were created by neighborhood residents to make decisions about their own communities. These new councils could (and still can) receive funds directly from the national government to carry out their projects. Representatives were traded for spokespersons. These moves were not flawless, but they empowered, inspired, and handed everyday folks the tools to dream for a better world together, and actively make it happen. For these movements, Chávez will be missed, but the Bolivarian process continues. Vice President Nicolas Maduro is set to take on opposition challenger Capriles Radonski in a nation-wide election for the presidency in less than 30 days, and he is expected to win handily. Hand-picked by Chávez, there is little doubt that he will carry on in Chávez’s legacy. There are, of course, many questions. Perhaps more than ever, since Chávez came to power 14 years ago, the future will rest on the collective and the union of the Bolivarian process. This article appeared on Venezuelanalysis.com via NACLA.org.